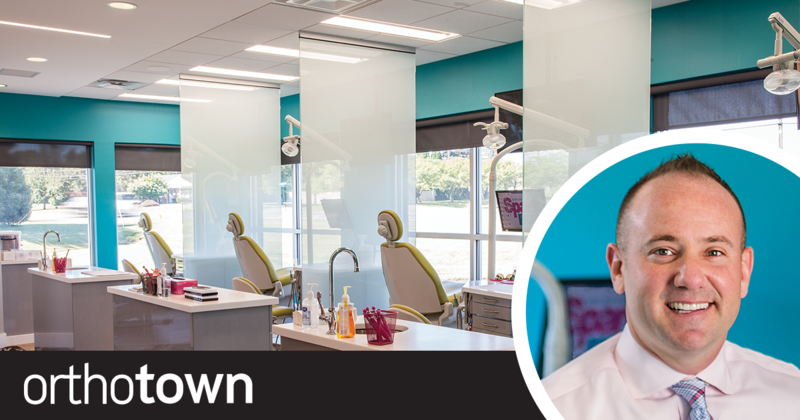 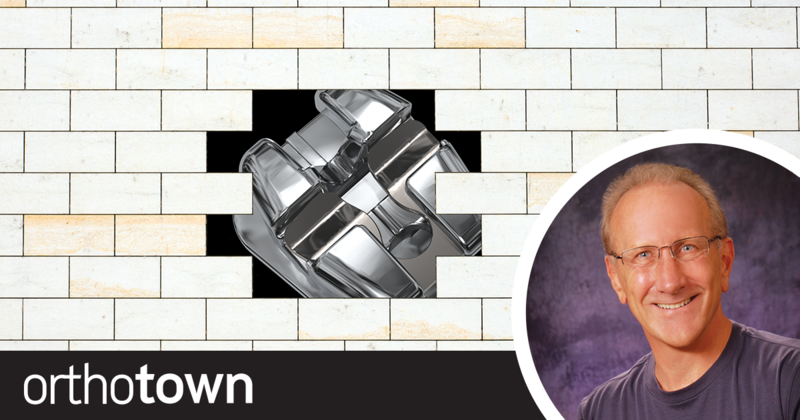 Townie orthodontist Dr. Jason M. Hartman now has nearly a dozen Spark Orthodontics practices in Pennsylvania; we tour one of his newest to get a sense of the products and principles he installs to maximize the chain’s clinical and commercial success. 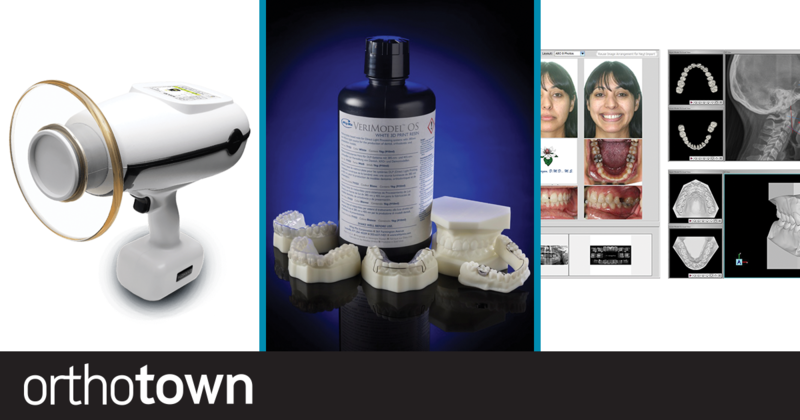 Orthotown editorial board member Dr. Ed Lin discusses the seven key factors to be examined when considering the purchase of a CBCT machine, including radiation levels and price. 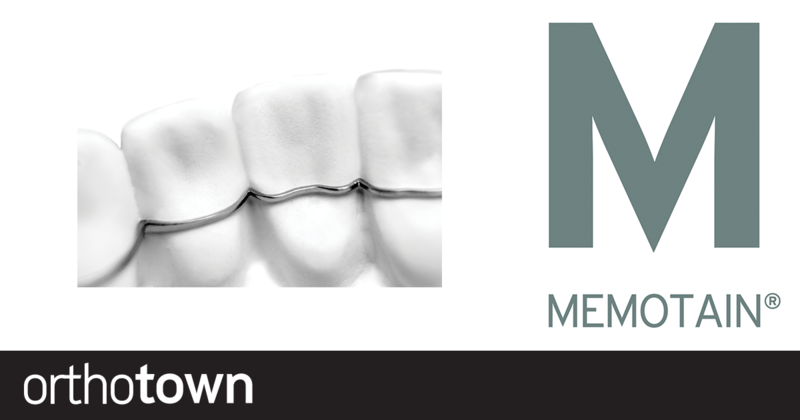 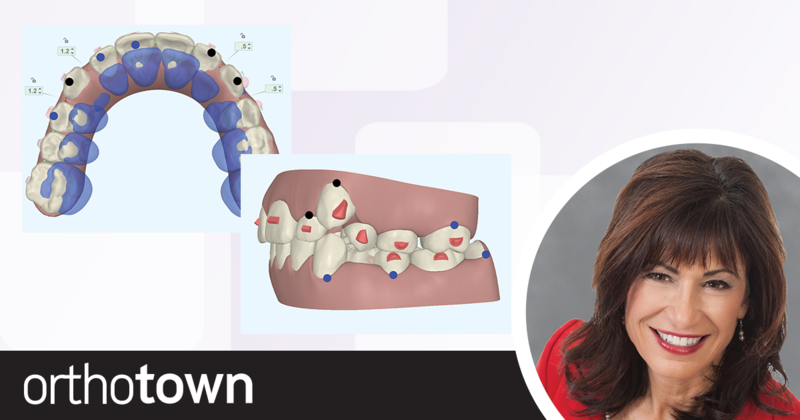 Orthotown editorial board member Dr. Donna Galante shares a case study and discusses Invisalign First, clear aligners for Phase 1 patients who need space creation in early to middle mixed dentition. 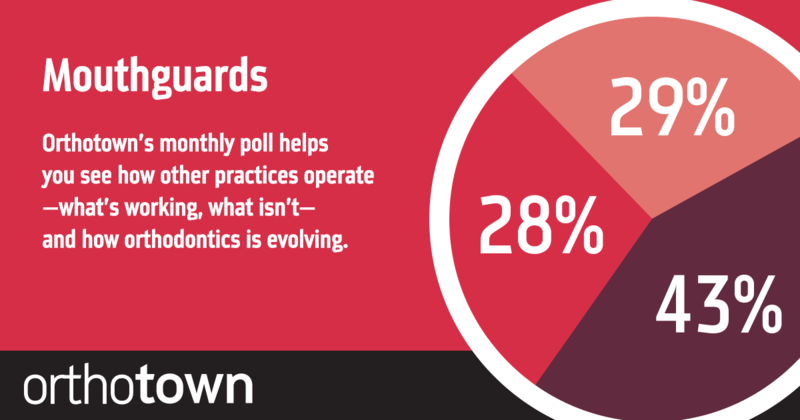 Dr. Thomas Ziegler of Ziegler Practice Transitions discusses the importance of contracts receivable when determining the valuation of an orthodontic practice. 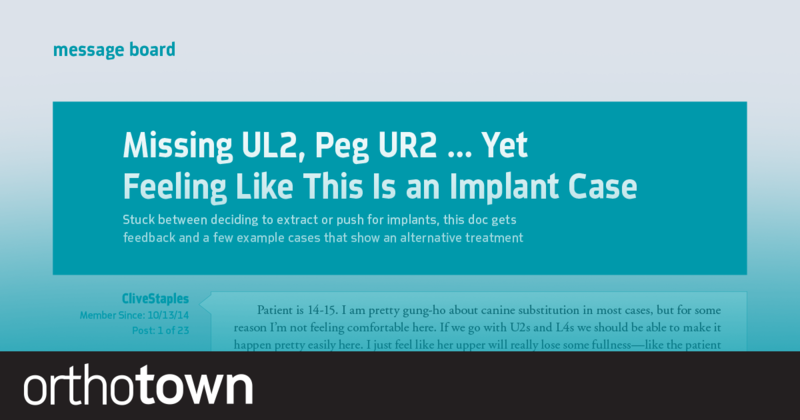 To place implants or not to place implants? 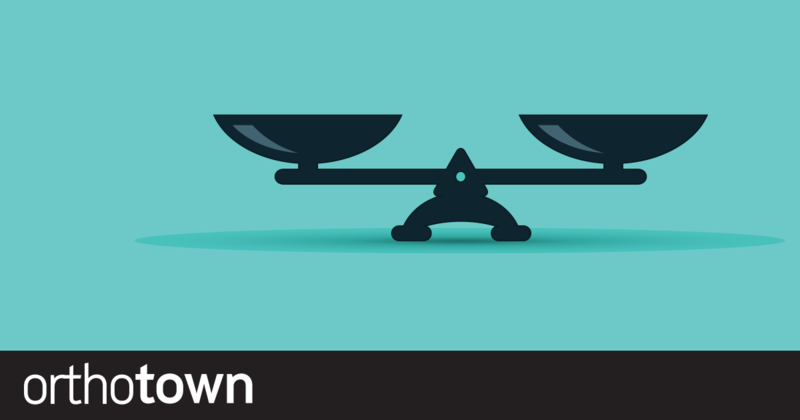 That is the question for this Townie. 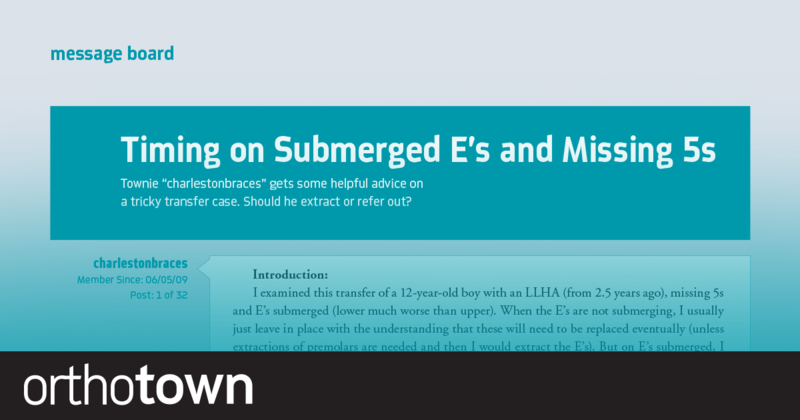 Townie “charlestonbraces” gets some helpful advice on a tricky transfer case involving submerged E’s and missing 5s. 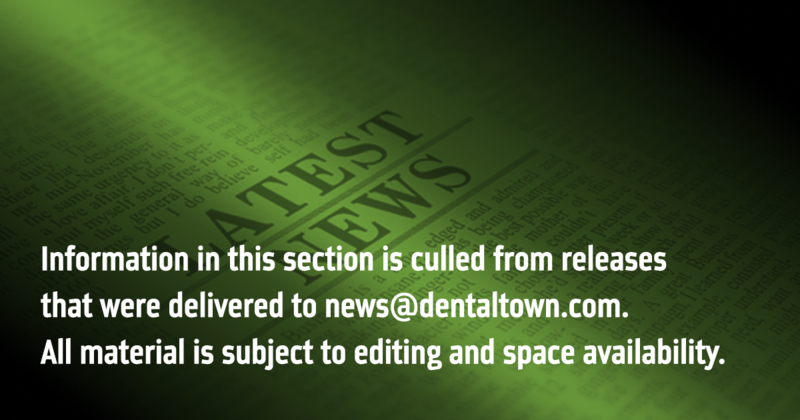 Should he extract or refer out? 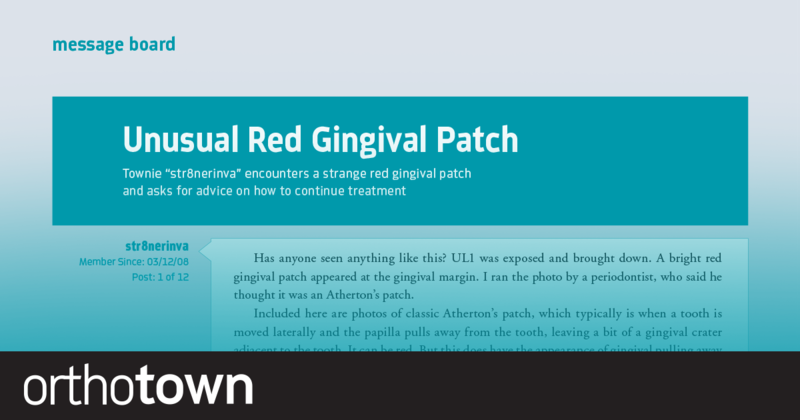 Townie “str8nerinva” encounters a strange red gingival patch and asks for advice on how to continue treatment. 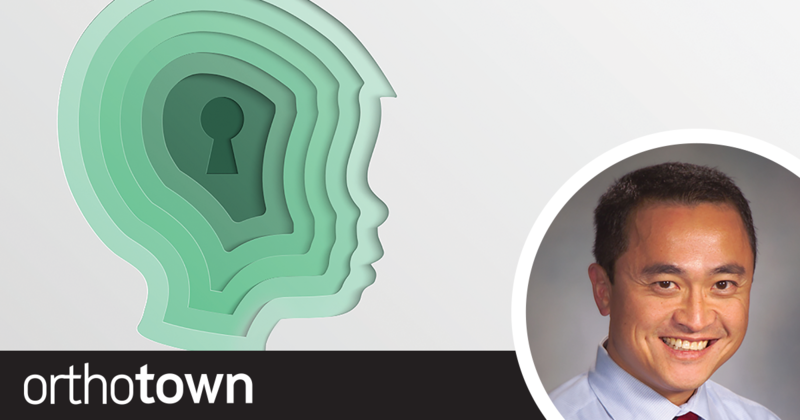 Orthotown Editorial Director Dr. Daniel Grob highlights the importance of taking CE, joining online groups and being open to new ideas.